Keith Badman is a FOCAL international Award-Nominated archive footage researcher/ producer, author, historian and journalist. 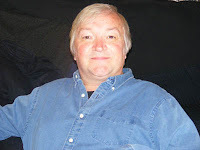 A long-time columnist for Record Collector magazine, he has assisted in film/ video searches for DVD/ Blu-ray & TV releases by the Rock Gods, The Beatles, KISS and Queen (the last being their official 2011 documentary Queen: Days Of Their Lives). He’s also been enlisted for archive assistance by the BBC, ITV, Channel 4, Rhino and VH-1 in America and is responsible for (or partly so) eleven music books; the subjects of which range from The Beatles and The Beach Boys to The Rolling Stones and Small Faces. Self-employed in the publishing / music / entertainment industry for well over two decades now, Keith has built a strong reputation on his incisive, in-depth, ground-breaking research. So if you're looking for that elusive lost film footage or trying to solve a baffling entertainment-related mystery, he is your man. He didn't obtain the "Columbo of the entertainment world" tag for nothing, you know! What were his last cases, you ask? The mysterious death of screen legend, Marilyn Monroe was one. For five straight years he travelled the globe, hunting down and studying practically every piece of surviving information about her demise. The result? He was finally able to answer, without doubt, the five-decade old question of how exactly the legendary Hollywood actress died. The Final Years Of Marilyn Monroe: The Amazing True Story was released in the UK / Europe in September 2010 and reached the No.1 position on three Amazon.co.uk books charts. Its long-awaited American / Canadian release, as Marilyn Monroe: The Final Years took place in July 2012 (courtesy St. Martin's Press) and once again it reached the top spot in several Amazon listings. Years after its first release, the book (and Kindle version) can still be found around the globe sitting in charts devoted to the actress, as well as in those assigned for cinema and popular culture. Since then, documentary-wise, Keith has completed work on Freddie Mercury’s official life story, The Great Pretender and in recent times, he’s turned archive producer on the officially sanctioned productions, KISS: You Wanted The Best, You Got The Best and The David Essex Story (both in 2014/15). Book-wise, at the time of writing, the first quarter of 2015, Keith has just completed work assisting The Fab Four’s only official biographer, Hunter Davies, as well as noted historians on the group, Spencer Leigh and David Bedford on The Beatles Book (The Definitive Encyclopaedia), which is set for release in mid-2016.